Raul Elizalde Puts CBD on World’s Stage at WHO Meeting - Medical Marijuana, Inc. The world-recognized cannabis advocate addressed World Health Organization officials on Monday, presenting them with information on CBD and urging them to classify the compound as a non-psychoactive nutritional supplement. Yesterday was a monumental day for CBD. 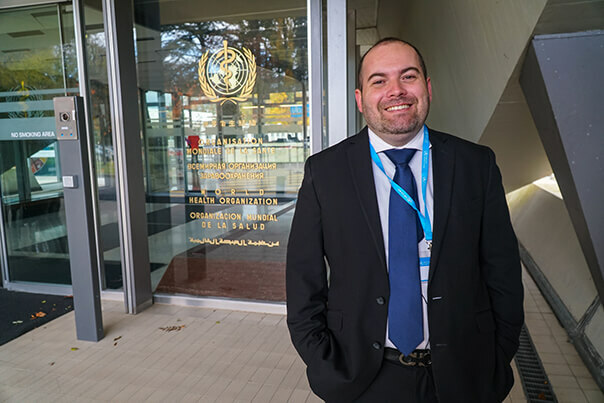 Our very own Raul Elizalde, President of Medical Marijuana, Inc. subsidiary HempMeds® Mexico, addressed the United Nations (UN) and the World Health Organization (WHO) about cannabidiol (CBD). Raul was invited to speak on day one of the Thirty-Ninth meeting of the Expert Committee on Drug Dependence. 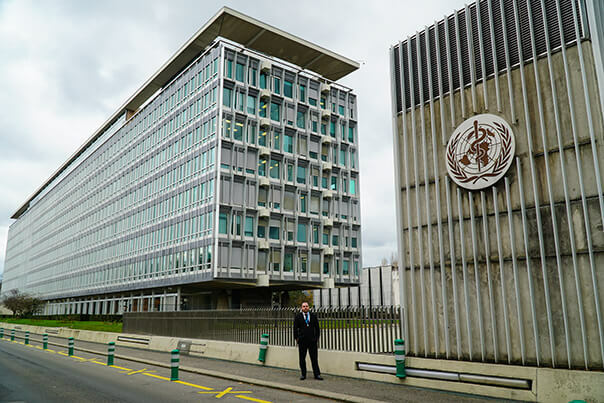 The 5-day meeting was set so that the WHO’s Expert Committee on Drug Dependence (ECDD) could reevaluate the international scheduling of 16 different substances, including CBD. Their decision could significantly influence who has legal access to CBD worldwide. After 20 hours of travel from Mexico to the WHO headquarters Geneva, Switzerland, Raul attended the event’s Open Session on Monday, November 6, from 9:00am to 11:00 am local time. The Open Session was meant to give parties an opportunity to submit information for the committee’s consideration. Raul was one of a select number of CBD experts to present to the special committee. Positioned at the center table by Dr. Suzanne Hill, Director of the WHO Department of Essential Drugs and Health Products, Raul spoke about the benefits of CBD and explained how the compound is non-psychoactive. He encouraged the special committee to not schedule CBD, but instead classify the compound as a nutritional supplement and food. As Raul shared the personal story of his daughter Grace and her journey with CBD, WHO officials listened quietly. At the end, Raul gave testimony on behalf of the 65,000 patients and consumers who submitted public comments to the FDA. The other CBD experts invited to the meeting presented the committee with more technical and scientific evidence of CBD’s benefits and non-psychoactive properties. Michael Krawitz, the Executive Director of Veterans for Medical Cannabis Access, spoke on the natural benefits of CBD for military veterans. Media weren’t allowed into the Open Session, but Raul reported that the meeting went very well. Throughout all the presentations, the ECDD special committee members appeared receptive. They didn’t offer any feedback or pose any questions to the invited speakers, but listened intently. From here, the ECDD committee will present their international drug scheduling recommendations to WHO. They are scheduled to make their review on Wednesday, November 8, before making an official statement as early as November 15. Their decision regarding CBD would influence policies around CBD throughout the world. Raul spearheaded the grassroots movement for medical cannabis in Mexico after he and his family were the first to sue Mexico’s government for legal access to CBD hemp oil for his daughter, Grace. Learn more about Raul and his incredible journey to becoming a grassroots cannabis movement leader here.